Updated: 8:45 p.m. | Posted: 5:11 p.m. In a ruling with potential implications both on the health of Minnesota's culturally vital wild rice and on mining and other industry critical to northern Minnesota's economy, a state administrative law judge ruled Thursday that state regulators failed to justify a proposed change to a controversial water quality standard for protecting wild rice. 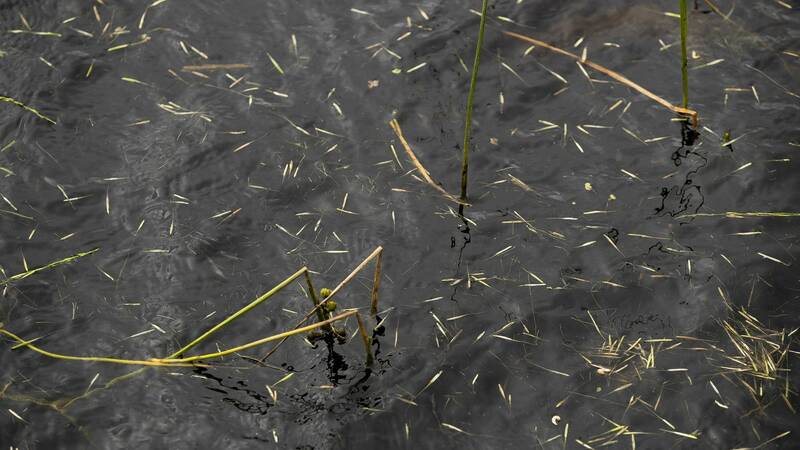 In her report, Administrative Law Judge LauraSue Schlatter said the Minnesota Pollution Control Agency failed to justify changing the current wild rice sulfate standard, which limits discharges of sulfates into waters where wild rice grows to 10 milligrams per liter. The rule has its roots in the 1930s and 40s, when a University of Minnesota scientist found that wild rice didn't grow well in water that contained a lot of sulfate, a pollutant released by industries like iron ore mines and paper mills, as well as wastewater treatment plants. Based on that research, Minnesota adopted a standard in 1973 that limited how much sulfate could be discharged into wild rice waters. After environmental groups and Indian tribes pressured regulators to start enforcing it, the state legislature in 2011 asked the MPCA to study the rule and see if it needed changes. Last year the agency proposed a complex, flexible formula that would determine what standard would be appropriate for each specific lake or stream. But Schlatter wrote that the agency failed to demonstrate that repealing and replacing the current standard would be equally or more protective of wild rice. The agency also "failed to recognize the proposed rule's burden on the Native American community in its discussion of classes of people who will be burdened by adoption of the proposed rule," the judge wrote. The ruling was cheered by both environmental groups and industry groups, although the two sides still disagree on the validity of the state's current standard. "This is a day we can celebrate," said attorney Paula Maccabee with the environmental group WaterLegacy. "Because what we've seen is the administrative law judge...affirming the protection of wild rice, and the protection of clean water and human health from the increased risk of mercury contamination that would result if sulfate levels were increased." The judge also rejected the MPCA's proposal to count 1,300 wild rice water bodies in the state. "She concluded that there was no adequate or defensible reason for excluding nearly 1,000 other wild rice water bodies that were on the DNR's list and the tribal lists as well," said Nancy Schuldt, water projects coordinator with the Fond du Lac Band of Lake Superior Chippewa. Industry groups, meanwhile, also praised the decision. The difference is that they also disagree with the state's current wild rice sulfate rule — the so-called "10 standard" — which environmental groups and tribes want the state to enforce. "I think the MPCA understands the '10' is not a workable option," said Kelsey Johnson, president of the Iron Mining Association of Minnesota. "It's a matter now of finding out what is a workable option." Industry groups argue that complying with either standard could cost tens of millions of dollars, if not more. They say that could potentially put mines and other industry out of business, and impose huge costs on wastewater treatment plants. State Rep. Jason Metsa, DFL-Virginia, said spending all that money wouldn't even guarantee protection of wild rice. "Because the answer we kept getting back even from the MPCA was, 'We don't know.' 'Will it help future crops prevail?' and the answer was always, 'We don't know,'" he said. Metsa said he and other lawmakers are considering a legislative solution to this longstanding controversy over Minnesota's most famous and culturally significant grain. Meanwhile the MPCA said it needs to evaluate the report before commenting. Chief Administrative Law Judge Tammy Pust said that if the agency chooses not to correct the defects, it must submit the proposal to legislative leaders for further review.